Is your Upvc door lock faulty? 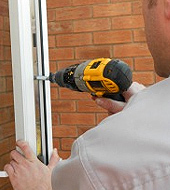 Are you having trouble locking your Upvc door? Do you want to upgrade your Upvc door cylinder or handles? Does Your Upvc door conform to your insurance companies requirements? 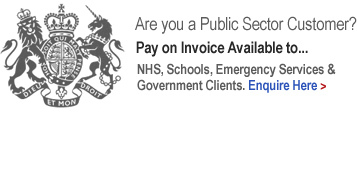 Call us today on 01909 474647 - We can help! Upvc doors and window have become a common sight on houses through resent years and these are generally fitted with Multi-point locking mechanisms. 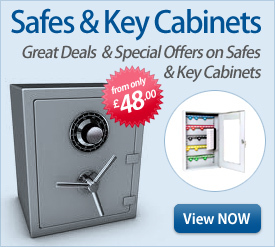 These can be handle or key operated with the cylinder locking the mechanism in place. At times, problems can occur with these, ranging from faulty cylinders to failed mechanisms which can either leave you locked out or with an un-usable door. 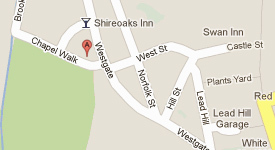 All our vans are stocked with the most common Upvc door locks and faults can usually be rectified on the first visit. If for any reason we can't solve the problem on the day, we will leave your door secure until we get the replacement, usually the next day. 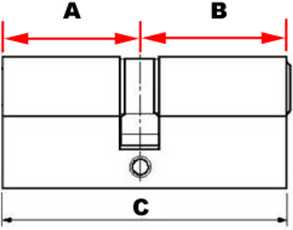 To determine the cylinder size measure 'A' and 'B' using the centre of the fixing screw hole as the start point. 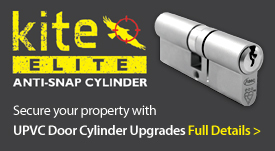 Be sure to note which of the measurements is the external side as the Kite Elite Lock protection is only on one side of the cylinder for example 'A' = 45mm and 'B' = 35mm then note which of these measurements is the external one, 'A' or 'B'. We at Stapletons Lock & Safe can also supply and fit a vast amount of multi-point locks and cylinders. So, if you find you have a problem with your Upvc door or just what an up-grade to you existing cylinder, call us today on 01909 474647 for a free, no obligation quote.